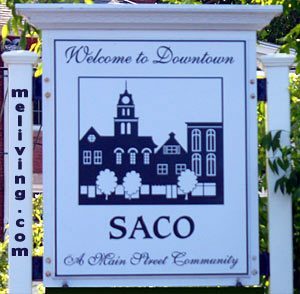 Saco, Maine is home to the dramatic falls of the Saco River. 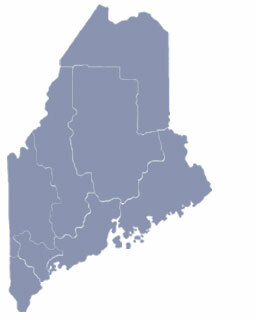 Estaban Gomez named the Saco Bay in 1525, “Bahia de Saco”, or “Bay of the Sack”, after a map outline of the coastline, which is now where the city, river, and bay got its name from. 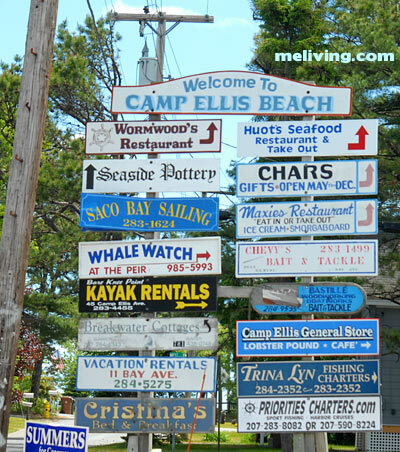 Situated near thrilling waterparks, excellent skiing, golfing and shopping. Visit Harris Farm and enjoy a day's skiing with beginners loops to advanced options. Family fun awaits at Aquaboggan or Funtown Splashtown - New England's biggest waterpark. Spend an afternoon in Kennebunk or Old Orchard Beach. 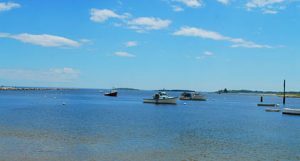 The perfect base for which to explore all Maine has to offer - from golfing at the Biddeford- Saco course to theater at the Arundel Barn Playhouse. Saco, Maine has in recent years been actively restoring a number of abandoned mills that have fallen into disrepair and has also constructed a wind turbine to generate power for the new “Downeaster.” Amtrak train station. In development is also a new marina and two business parks. 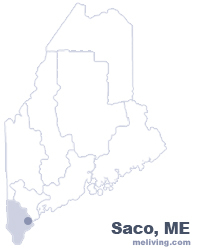 To share any Saco, Maine information with us, please contact us. Learn more about advertising in MELiving.